Did you know that in 2017, the city of Detroit Michigan will be closing down the iconic Joe Louis Arena where the National Hockey League Detroit Red Wings have played for years? Sadly, it’s true. But to commemorate all the years of great Detroit Hockeytown memories Hart (heart) Mind Soul and the HMS nation will be handing out *FREE limited edition Stanley The Octopus T-shirts and stickers before and after the Detroit Red Wings home game at Joe Louis Arena in Detroit against the Colorado Avalanche. That’s right, Saturday, March 18th, 2017 look for Hart (heart) Mind Soul representatives outside the Detroit Joe Louis Arena which will be closing forever in 2017. 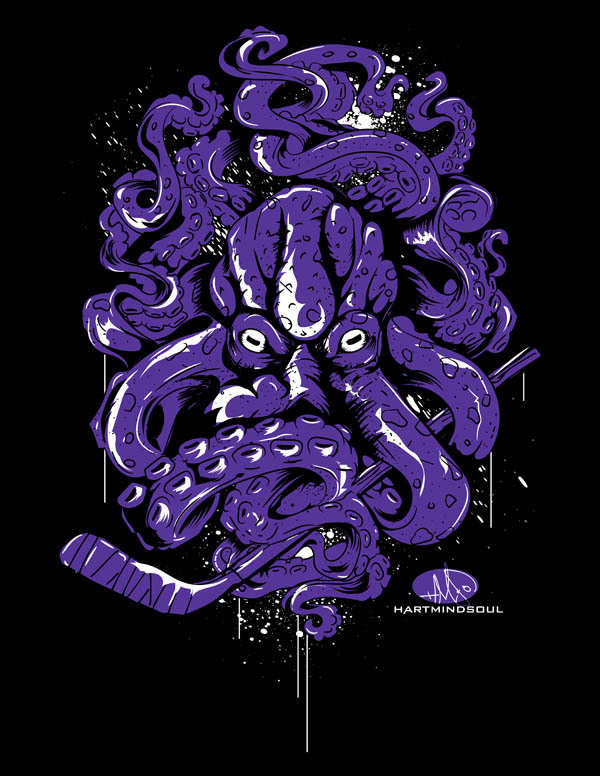 Make sure to act early as supply is limited and these awesome custom screen printed T-shirts and stickers with commemorative Detroit Joe Louis Arena Octopus and Hockey stick are sure to go fast. Hart (heart) Mind Soul custom screen printing and apparel products are not associated with or licensed by the NHL (National Hockey League) or the Detroit Red Wings hockey team in any way, shape or form. 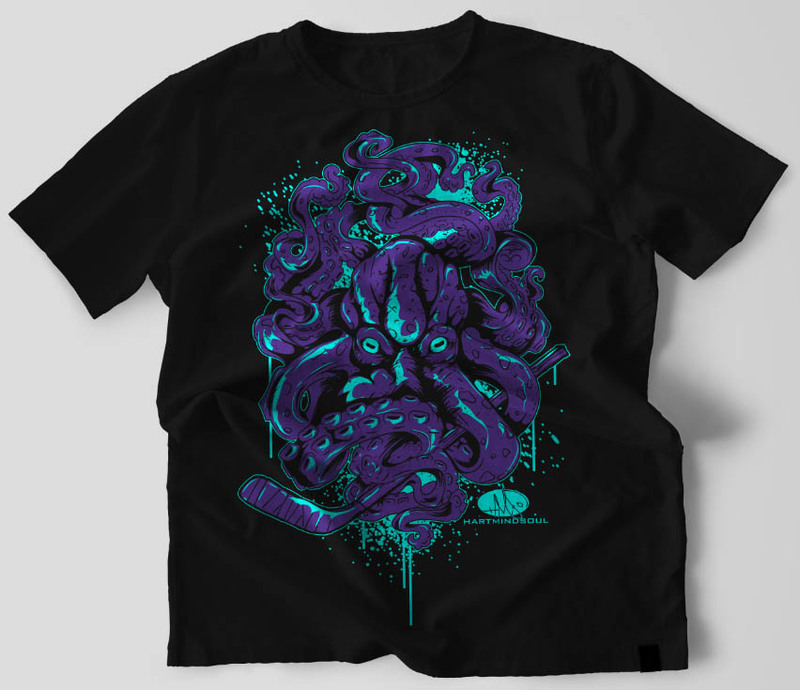 Our *FREE, limited edition commemorative Detroit Joe Louis Arena is Closing T-shirts with Purple Octopus are just for fun and our way of saying thank you for all the great memories the Detroit Red Wings fans have from the past years. Want to know more about how you can get your very own Detroit Joe Louis Arena Closing Commemorative, custom screen printed T-shirts and stickers? Just click here for more information from Hart Mind Soul and the HMS nation. 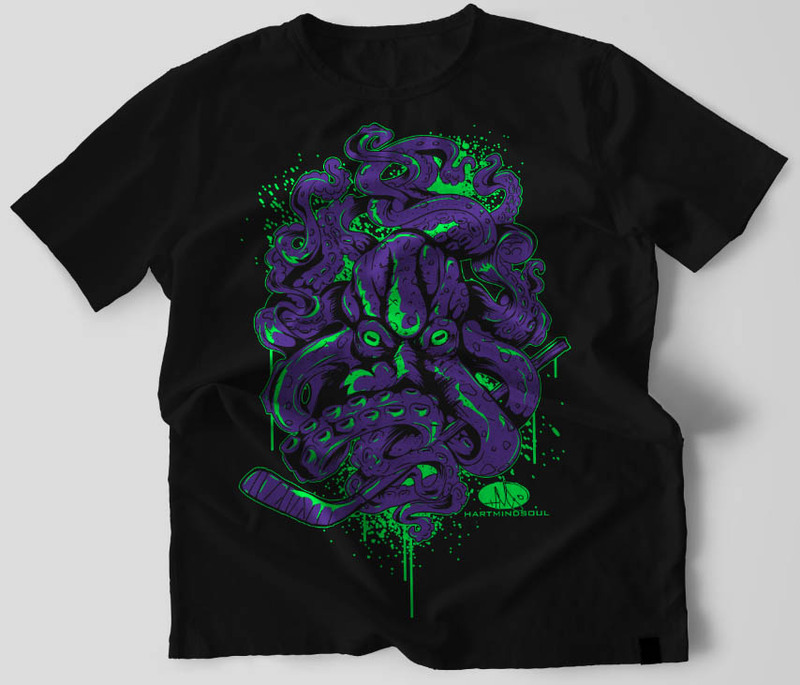 Detroit Red Wings Octopus, hart mind soul t shirts, Heart Mind Soul, hms nation, Joe Louis Arena Closing, Octopus Hockeytown shirts, Octopus T-shirt. Bookmark.